You can mark the day by making sure an impoverished child has enough food for a year. It seems like these days there’s a day to celebrate just about every popular food on earth. And those are just a few of the hundreds of official and unofficial food holidays. We love to celebrate food! When you discover it’s National Waffle Day, you immediately want to go out and find some delicious, golden waffles with tons of syrup. It’s a fun way to a make an ordinary day feel like a special occasion. And while there’s nothing wrong with celebrating good food, it’s important to remember that countless people around the world don’t have anything to eat at all. That’s why today is so significant — it’s World Food Day. On this day, we commemorate the founding of the Food and Agriculture Organization of the United Nations (FAO), and we fight together as a global community for those still suffering from hunger. So this World Food Day, will you celebrate the blessings you have by helping to feed one starving child for a year? All it takes is $40 to give a boy or girl healthy food for 365 days. The theme the FAO has chosen for this year’s World Food Day is #ZeroHunger by 2030. The goal is a future when no person goes without nutritious meals each day … where no child cries himself to sleep because of the pain of an empty belly … and no parent has to bury their son or daughter because of a lack of food. To make that future a reality, we have to act now — every one of us. The global food crisis touches every continent. And, unfortunately, when it comes to starvation, children are most susceptible. In fact, 45 percent of deaths in children under 5 are due to malnutrition. But you can help keep one boy or girl fed and strong for an entire year. This World Food Day, you can help mark the beginning of a child’s journey to a healthier life. Today, there is a boy too weak to get out of bed because he hasn’t had a full meal in weeks. A toddler who, instead of having chubby cheeks, has bones protruding from her emaciated body. A baby who will not live to see his first birthday if he doesn’t receive the nutrient-dense formula he desperately needs. Will you rescue one of these starving children today? You can help a child you’ll never meet by providing him or her with enough healthy food to last an entire year. For just $40, you will help save a child’s life. 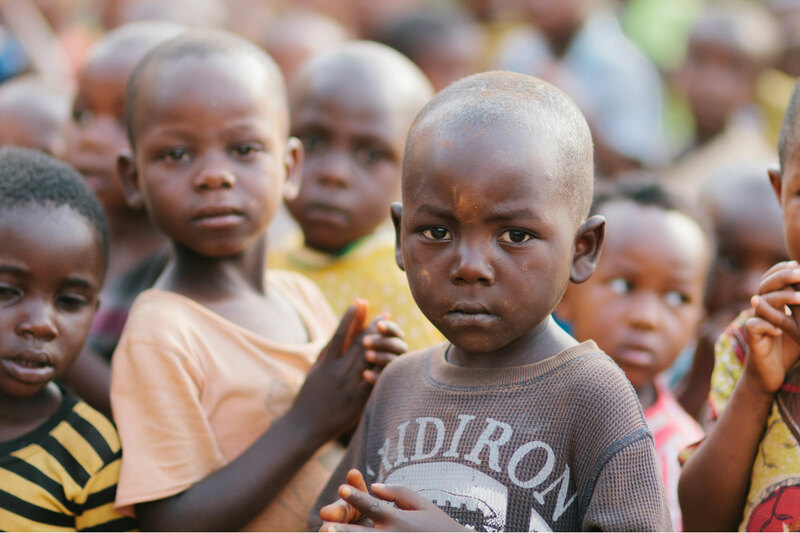 For less than you probably spend on weekly groceries, you can help keep a child alive and fed for a year! What better way to celebrate World Food Day? Help a starving child — it’s the best food you’ll buy all year long!